Thames Blue-Green Economy, a coalition of independent water industry experts has lodged a Judicial Review in the Royal Courts of Justice to the Government granting Development Consent Order for Thames Water’s Thames Tideway Tunnel – the “Super Sewer”. The argument is that the Decision is unlawful because the Government is in breach of the public participation requirements under the Environment Impact Assessment Directive and British Law. The positive cost-benefit of Blue-Greening, i.e. capturing rainwater locally, are now being prioritized around the World and could transform the environment, local economy and health of communities across London, while reducing air pollution, flooding and drought. I understand another complaint has been lodged with the Advertising Standards Authority, challenging Thames Water’s well-funded propaganda campaign for the TTT, which has materially misled their consumers and their elected representatives since 2010. Blue-Greening has proved an effective long term solution to urban rainwater problems in major world cities such as New York, Copenhagen and Philadelphia. The benefits for London include decentralized flood mitigation and handling stormwater at source rather than channeling it into a pipe in which it is then mixed with sewage. The benefits to the London economy include a long-lasting legacy of “green collar” jobs, drought and climate change mitigation, through reduction of the heat island effect, lower energy consumption and improving air quality. Air pollution is currently linked to one in every 12 deaths in London. All of these benefits would be available at a substantial discount to the estimated £4+bn (capital only!) cost of the white elephant that is the TTT – a 19th century solution to a 21st century problem. 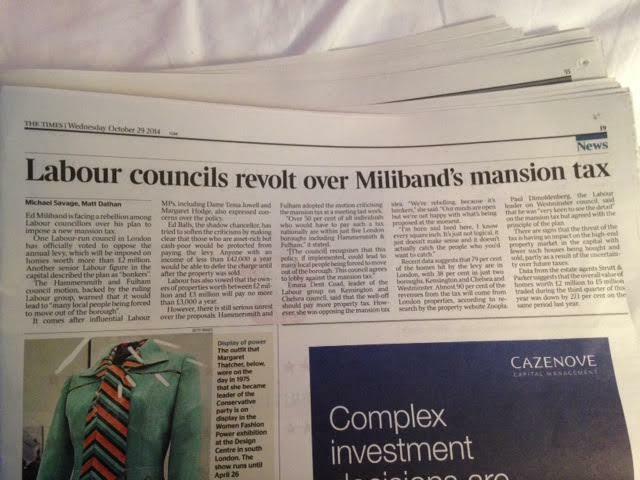 There was a report in The Times(£) this morning which included news of Hammersmith Labour councillors attacking their own Party’s absurd policy on the “Mansion Tax”. In so doing they have left the Labour MP for Hammersmith Andrew Slaughter completely isolated. Of course regular readers of this blog will already have seen a report on this last week. To be first with the top stories keep reading the Hammersmith and Fulham Forum. Earlier this month I registered my concerns about the Council’s official Twitter account being used to promote inaccurate and party political propaganda. It would be used to “retweet” messages from Labour councillors but not Conservative ones. There was also an endorsement of the dishonest “Save our Hospital” campaign. Before Labour took over in May the rules about council resources not being used for Party political activity were followed – there werte no retweets from councillors or promotion of partisan content. The Code of Recommended Practice on Local Authority Publicity makes clear that the council should not be using its resources to promote the Labour Party – or the BNP’s endorsement of Labour’s campaigning. I have demanded an explanation and an assurance that the Council Twiter account will not be abused in this way in the future. 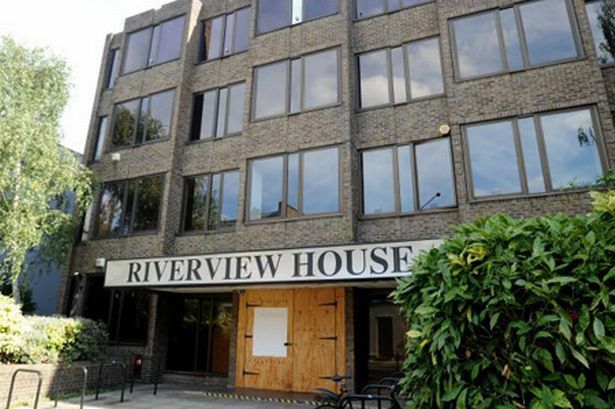 The good news is that it is proposed to knock down Riverview House – an eyesore in Beavor Lane that was once used for the Council’s housing offices. The bad news is that the design of the proposed replacement is just as ugly – as well as being seven storeys rather than six. It is proposed to provide 203 “units” of student accommodation. At least proposals for an Algerian Consulate – with all the queues that would have involved – have been withdrawn. The “consultation” consisted of three options – but not only were all the designs modernist – they were all from the same firm of architects! Furthermore the focus was on the stakeholder aristocracy of the amenity societies – those with the dedication to attend special meetings at the town hall. Far more realistic would have been to offer some genuine alternatives and to have written to residents in the area with a synopsis – including images. Sometimes the ugliness of a design is – absurdly enough – not a valid grounds for refusing planning permission. However although this property itself is not located within a conservation area, it is located opposite one; so the proposal’s impacts on the setting and appearance of the conservation area will also be matters for consideration. My own view is that we shouldn’t have more ugly buildings whether in conservation areas or not. The Council’s Development Management Plan is a weak document. It talks about the need for “a high standard of design”. But who decides what is good design? It would seem to be the planning officers which means it has to be modernist to reflect their prejudices. There is a reference to the need to allow “scope for design freedom”. It adds: “The aim is not to stifle innovation”. By “innovation” the planning officers mean yet another identikit, dreary, concrete slab. The document supports more tower blocks where there are already tower blocks. That is not the wish of most residents. To be told by the “experts” after a patient sigh not to worry as they will tower blocks of “good design” is not convincing. The guidance defers to CABE – who are pro tower blocks. Such structures are praised by the council as “landmarks” – which is one way of putting it. The policy should be to have no further tower blocks and a priority given in redevelopment schemes to reduce the existing number of tower blocks. So the policy needs to change. But even the existing policy gives valid grounds for refusing the application for Riverview House. Old Oak is not a wealthy part of our borough but it has some fine architecture. Indeed Old Oak and Wormholt Conservation Area is one of the borough’s oldest conservation areas, designated in 1980: a lovely enclave of Arts and Crafts houses. However the council and the housing associations have allowed it to deteriorate. 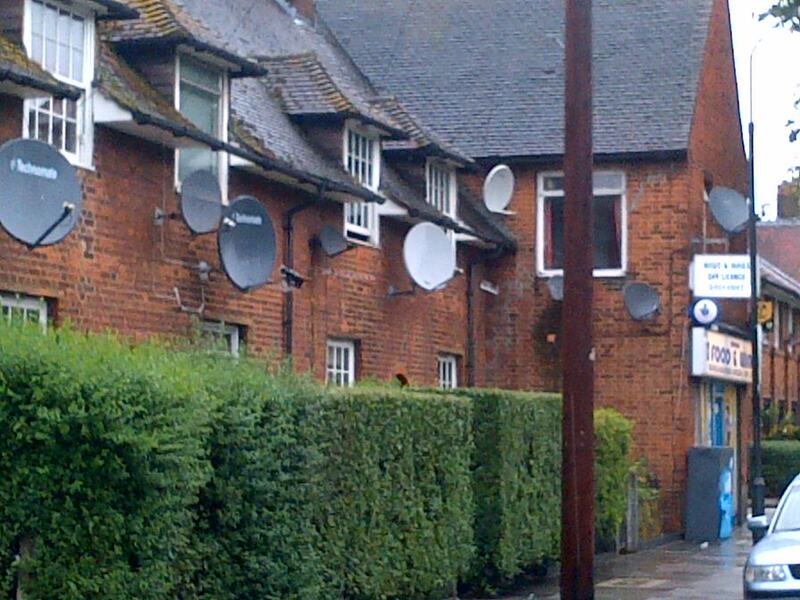 In particular there is massive blight from satellite dishes, when there should be none at all. See this picture of Erconwald Street, named like its neighbour Wulfstan Street, after an Anglo-Saxon bishop. The Hammersmith Society have pursued the matter and I am pleased that action is being taken with the Old Oak Housing Association and the council working together. Of course it is important for people to be allowed to exercise a choice of viewing and it is unfortunate that cable isn’t available. Even so technology has left many of the dishes redundant. Even if a dish is required – for instance for Sky Sports – it could be be placed less obtrusively on the roof than the wall. It is interesting how quite small things can really drag down an area.